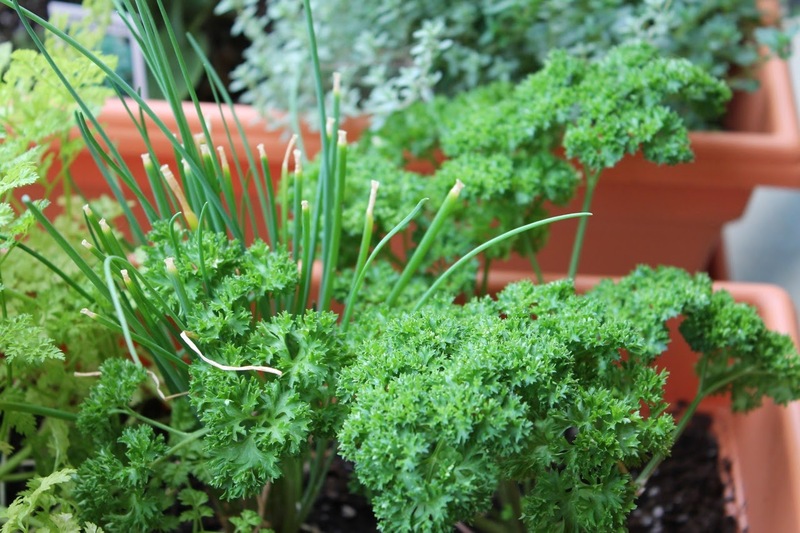 Growing up, I remember parsley as mostly a garnish that restaurants threw onto the side of plates for color. I don't ever recall eating it. We had a container of dried parsley in the spice cabinet, but I don't remember my mom ever cooking with it (its odor, redolent of grass, was nothing like parsley). So, at least from the perspective of my youth, parsley was not a special herb. Thankfully today people seem to be eating parsley instead of decorating with it. The spiky herb has a wonderful fresh flavor that's welcome in many dishes, including soups, fish, chicken and, my favorite, pasta. I find it pairs particularly well with smoky bacon and bright green peas. I love both the Italian and curly-leaf varieties, but I think curly-leaf has a more pronounced flavor that works well in a dish like this. 1. Bring a large pot of salted water to boil. Cook pasta 1 minute less than package directions for al dente. Reserve 1 cup of the pasta cooking water, drain pasta and set aside. 2. Brown bacon lardons in a large sauté pan over medium heat. When crisp, remove from pan with a slotted spoon and transfer to a paper-towel-lined plate. Drain bacon grease in excess of 1 tbsp. from sauté pan. 3. Add the shallots to the pan and sauté until lightly browned. Add the peas, season with salt and pepper and a dash of nutmeg. Stir in the cooked pasta and bacon and cook for 1 minute. Turn off the heat. Add the lemon juice and reserved pasta water and stir until well combined. 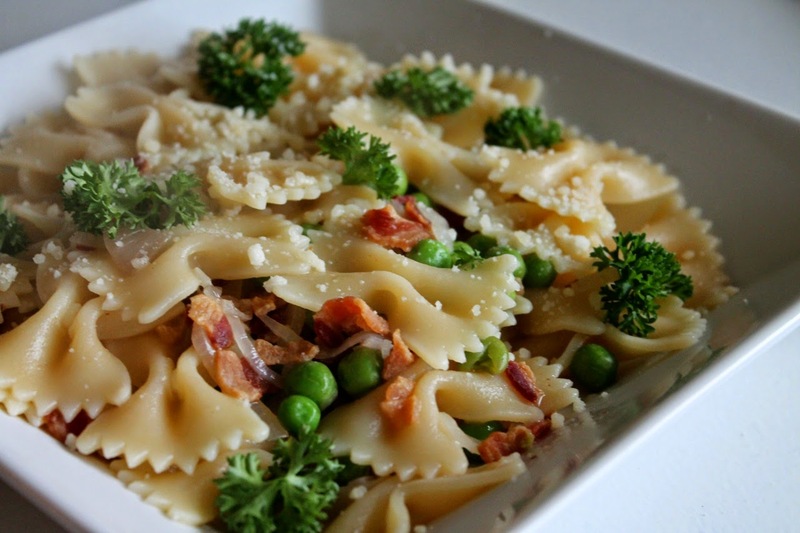 Serve pasta in shallow bowls topped with fresh parsley and grated parmesan cheese. This was wonderful. 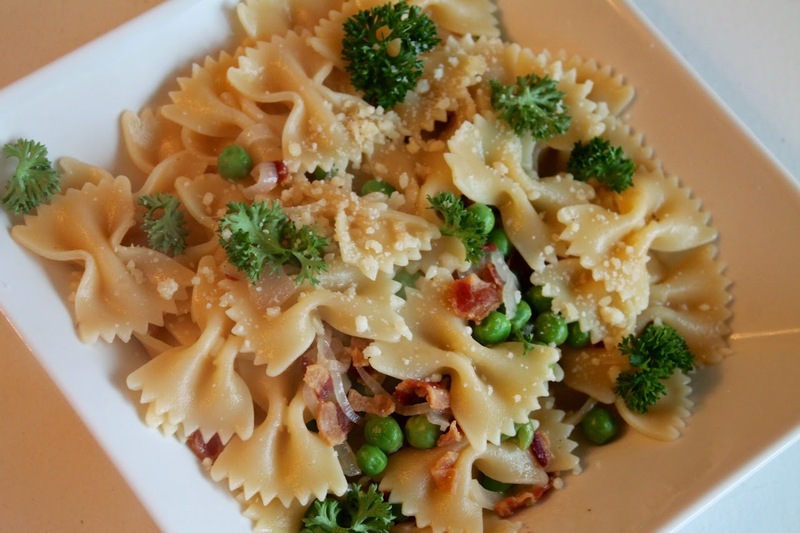 Bacon, peas and pasta -- three of my favorites. Thanks for making it.